Situated just off the A57 past Old Trafford football ground heading towards Manchester city centre this centre offers a bright, modern business environment with clean, comfortable and stylish surroundings. Facilities include professional staff on-site, 24 hour access, business support services, car parking, storage facilities and serviced/non-serviced offices are all available. This centre enjoys a prominent location on the A56 Chester Road to South Manchester. 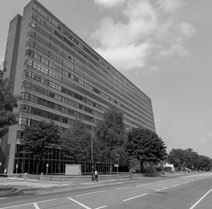 Fully refurbished in 2011, this property now provides good quality flexible space across 11 floors. Numerous shops and other amenities are close-by. This 450 sq. 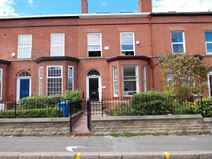 ft. office is located within a Victorian three-storey, mid-terrace office building with basement on the south side of Chester Road, 1.5 miles from Manchester City Centre. Unrestricted on-street parking and flexible license/lease terms available. This centre offers contemporary, good quality offices in a converted brewery. Onsite parking and secretarial assistance is also available. This centre is situated within 10 minutes’ of the city centre and is easily accessible to all business and retail facilities and the nearest mainline station. This centre can offer flexible business accommodation for companies seeking light industrial, workshop or storage premises. Trafford Park is the principal industrial location of Greater Manchester, just 2 miles from junction 3 of the M60 and 1 mile from the M602, giving direct links to North and South Manchester and approximately 3 miles from Manchester City Centre. Astra Business Park is situated in the heart of Trafford Park in a prominent position at the junction of Guinness Road and Ashburton Road West within 1 mile of major retailing and leisure facilities at the Trafford Centre. This is a well-situated centre, with public transport connections close-by. This centre provides cost-effective office space to suit your needs. Spread over nine floors, a mixture of space is offered Ample parking is available, and there are many great amenities close-by, especially in Manchester City Centre where there are wonderful restaurants, trendy bars and quirky cafes. There are also fantastic shopping options. This building is close to a wide selection of shops and restaurants, and there is ample on-site parking available. This facility comprises four office buildings, fully refurbished to provide comfortable and efficient office accommodation. Close to the world famous football and cricket grounds in the heart of Old Trafford, this landmark building is just a short walk from two Metrolink stops which means Salford Quays is around five minutes away while you will also have quick and easy access to the city centre. Office space and meeting rooms recently refurbished to a high specification. A stone"s throw from Old Trafford and just across the river from Media City this fully refurbished, first floor open plan office is ideally located on Trafford Park allowing for easy access to the city centre. As well as free parking you will benefit from a bathroom and modern fitted kitchen.